Use this resource page to learn everything you need to know about the Police Final Interview and how to pass it. What is the Police Final Interview? 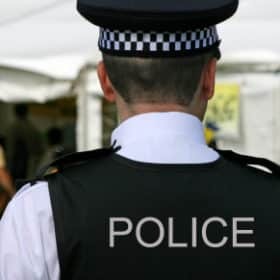 The purpose of the final interview is to allow the constabulary to find out more about you, your application, your motivations for wanting to become a police officer, and what you know about the role and the constabulary that you are applying to join. They may also ask you questions that are based around what you might do in a given situation, or based around the competencies. It is important to point out at this early stage that the police officer final interview differs very much from the police officer assessment centre competency-based interview. 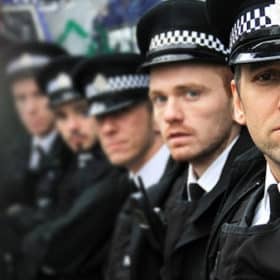 In fact, there is no “official” College of Policing guideline for the final interview, and as such, it is left down to each individual police force to determine how the interview will be conducted and also how it will be assessed. HOW LONG DOES THE POLICE OFFICER FINAL INTERVIEW LAST? This very much depends on how long it takes you to answer the questions that are posed. However, as a general rule, the interview will normally last for between 45 and 60 minutes long. It is very important that you provide comprehensive responses to the questions posed, so make sure you carry out a mock interview using the sample questions and answers provided on this page. HOW MANY PEOPLE WILL BE ON THE POLICE OFFICER FINAL INTERVIEW PANEL AND WHO WILL THEY BE? There will usually be a minimum of two personnel on the interview panel. The fist will be a serving member of the police force and the second will be a Human Resources representative. Both will ask questions, so when answering the questions, make sure you look at both people on the panel. Will the Police interview take any particular format? 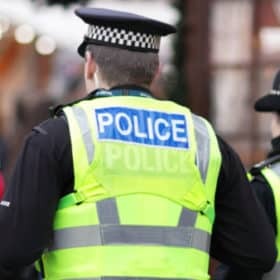 Positive reasons/motivations for wanting to join the police force include: wanting to make a positive difference to your local community, including tackling crime, educating the public and breaking down barriers between the police and the public. Q. What can you tell me about the geographical area of this Police Service? You can find out this information by spending time on the Police Service website. In addition to this there is also nothing to stop you from visiting your local police station and requesting information on the geographical layout of the constabulary. The best people to gain this information from are your local police officers and police community support officers. Lots of people say they are flexible, but not many people actually are. Being flexible is a very important part of being a competent police officer, especially considering you will be required to work unsociable hours and shift work. 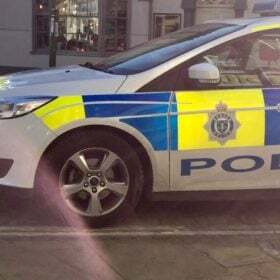 If you can give an example of where you have already worked either shits or unsociable hours before you attend the police officer final interview, then this will ensure you are able to provide evidence in this area. It is one thing telling the interview panel that you’re flexible and another demonstrating it. We can almost guarantee that you will be asked questions during your final interview that require you to explain what you would do in any given situation. These types of question are more commonly called ‘SITUATIONAL’ questions and they require you to provide a specific answer to the question. Q. What would you do if you heard a person making either a racist or sexist comment? Q. What do you understand by the term equality and fairness? This is a tough questions to answer, especially if you have little or no understanding of what “equality and diversity” means. To help you in your preparation, here is a sample response to the question. Try to read the Police Service’s policy on equality and fairness. You may be able to find this by visiting their website or asking them for a copy of it to help you in your preparation. Consider reading the Race Relations Act, and understand the duties that are placed upon public sector organisations such as the police. Q. What are the effective qualities required to become a police officer? 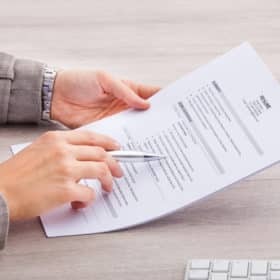 The way to improve interview technique is to carry out what we call a mock interview. Mock interviews are where you ask a friend or relative to ask you a number of interview questions under formalised interview conditions. This can be achieved at home across your dining room table or even whilst sat on the chairs in your living room. During the mock interview, you should also aim to work on your interview technique. During the police officer final interview you will be assessed against your oral communication skills and the manner in which you structure your responses. That is why it is important to practice your responses to the interview questions before you attend the actual interview. 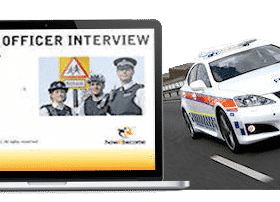 Your FREE police final interview worksheet will be emailed to you instantly! 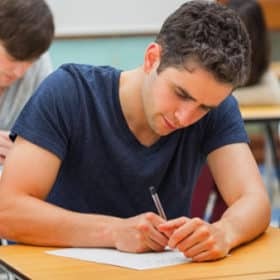 The questions contained in the above worksheet are very similar to the types of questions you could get asked at your police officer final interview. It is important that your mock interviewer provides you with constructive feedback. Do not choose somebody who will tell you that you were great, even when you weren’t, as this just defeats the whole purpose of a mock interview. Choose a quiet room in the house or another suitable location. Set the room up with a table and two chairs. The interviewer then invites you into the room and the interview commences. Don’t forget to be polite and courteous to the interviewer and only sit down when invited to do so. When the interviewer asks you the questions, respond to them in a logical manner and in a tone of voice that can be easily heard. Throughout the mock interview work hard on your technique and style. Sit upright at all times and look at the interviewer using soft eye contact. Do not fidget or slouch in the interview chair. Once the interview is over, ask the interviewer for feedback on your performance. To help you further with the final interview, we have created a 1-HOUR POLICE FINAL INTERVIEW WALKTHROUGH DVD. This DVD runs through the entire process of the police final interview, providing example questions and detailed answers. It also includes exclusive insider top tips and advice. 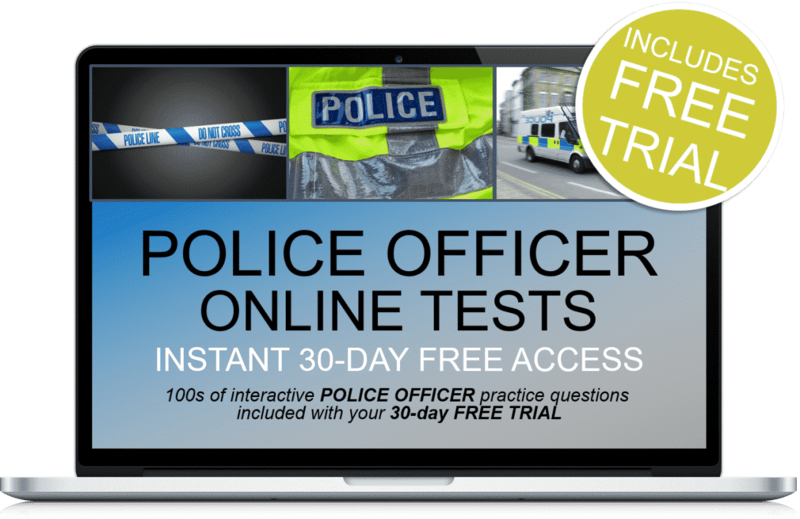 Plus 30-days FREE ACCESS to the Police Officer online testing suite. Thereafter, just £5.95 per month. No minimum term. You may cancel anytime. Cancel before the 30-days are up and you will not be charged. Online suite access on PC, MAC and mobile devices. What you can expect on the day. Packed full of insider top tips to passing the final interview. Actual sample police officer interview questions and sample responses!